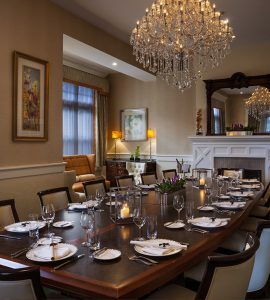 You are warmly invited to host your Private Dining Event, Business Meeting or Cocktail Reception at the Wayne Hotel. Your guests will be impressed by the level of sophistication and attention to detail that are the hallmarks of every event hosted at the Wayne Hotel. 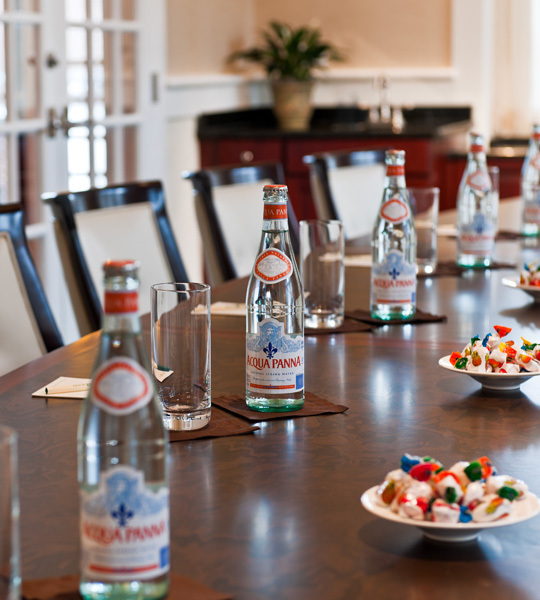 The Wayne Hotel is an excellent choice for hosting your next Meeting or Corporate Event on the Main Line. 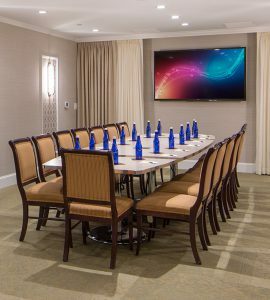 Our refined, private meeting rooms are available for conducting day-time and evening business, offering a stylish alternative to traditional meeting space without giving up modern amenities such as state-of-the-art A/V equipment and high-speed WiFi. Paramour’s gracious staff will be happy to assist you with planning dining events to complement your business meetings. Choose from one of the suggested meeting package menus or allow our staff to guide you through a customized option that’s sure to delight and impress your business associates. Paramour’s memorable cuisine and gracious service are the foundation for any special occasion. 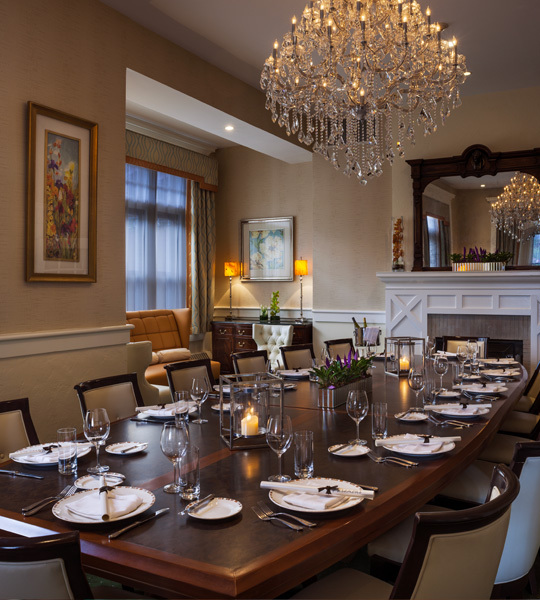 When the question is where to hold your private dining event, Paramour at the Wayne Hotel is the answer. Our Events Coordinator will work closely with you to help you realize your vision of a flawless event; Paramour is the perfect place to make that vision a reality. Fine Dining is the order of the day in any of Paramour’s elegant and vibrant dining venues. We would be delighted to assist you in selecting the perfect menu for your dining event. Choose from one of the suggested prix-fixe dinner menus or allow our staff to customize a menu that’s sure to delight your dinner guests. Also, before the seating of your private dining event, consider a cocktail gathering in the Lobby Lounge where the culinary staff can enhance your beverage selections with exquisite butler-passed hors d’oeuvres. 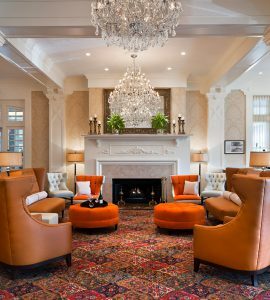 Brides and grooms looking for a boutique wedding venue on Philadelphia’s Main Line will fall in love with the Wayne Hotel. Wedding Ceremonies in the Lobby Lounge, Receptions in the Main Dining Room, and Overnight Accommodations make the Wayne Hotel the perfect wedding destination that will be remembered by you and your guests for a lifetime. 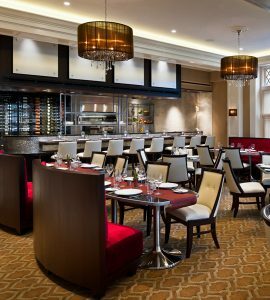 Paramour’s culinary staff will gladly customize your menu to accommodate any requests and offer expertly chosen wine and champagne pairings to enhance the dining experience. Hands-on efforts by our Events Coordinator will help guide you through your wedding planning, ceremony and reception with ease, making your special day a unique statement of your personal style and as extraordinary as you imagined it. Our Private Events Sales Manager looks forward to taking care of every detail so that you can meet or entertain with ease and confidence. Please call or email for a complete selection of dinner menus and dining options.